All of us have heard the stories of people who’ve smartly purchased the rights to domain names they foresaw being in demand in the future, and then selling them for a tidy profit some time later. Then ther was the well-publicized story of a former Google employee who owned google.com for a whole minute and was handsomely rewarded by the Internet giant for giving it back to them in 2015. That same year Google became a subsidiary of Alphabet, and they wisely nipped any problem in the bud by acquiring abcdefghijklmnopqrstuvwxyz.com shortly thereafter. Here at 4GoodHosting, we register many new domain names for clients every month as a Canadian web hosting provider who offers the service free with our web hosting packages. 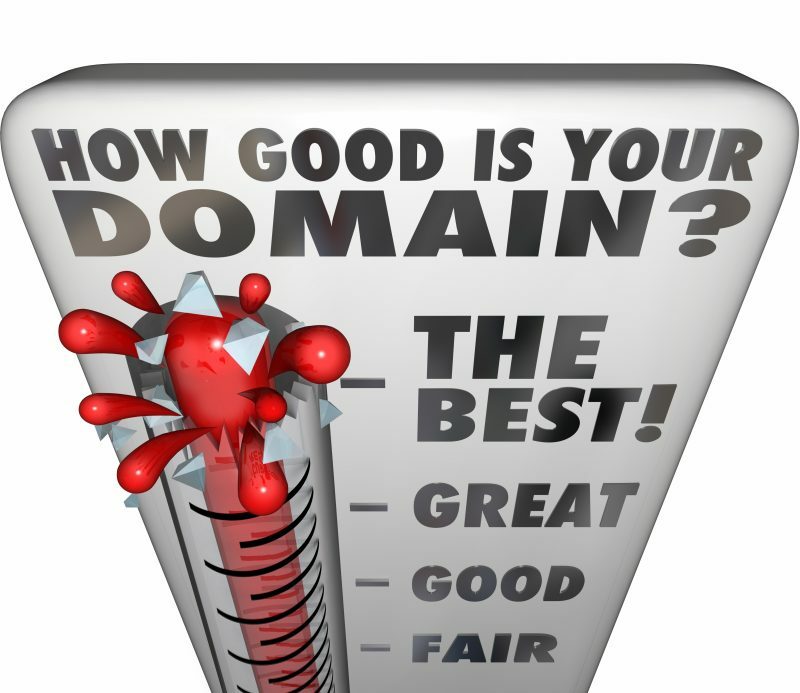 If you’ve identified the perfect domain for your website, you can request it right here – https://4goodhosting.com/domain-name – and provided it’s available we can secure it for you. For those of you that have ever wondered about the $ of your domain name, you might be surprised to learn that you can actually come to an approximate valuation of it with a few online tools. Even if your domain name is the most obscure one imaginable and would almost certainly never be in demand, this is quite interesting to learn more about. The first thing to understand here is that there are hundreds of thousands of domain names that have been registered but do not have a website attached to them. Nearly all of them have been acquired by individuals who see the possibility of selling it in the future. There’s some very promising examples of this, like when the Expedia group paid $11 million for Hotels.com, or the person who registered FB.com receiving millions for it. Length – Shorter domain names tend to be easy to remember and require less effort to type them into a browser. Generally speaking, shorter domains tend to be worth more than longer ones. Number of words – One-word domain names are always the most valuable, but combining 2 words to make business names (LinkedIn, Facebook) is a trend and has led to 2-word domain names being worth more too. Combining 3 words is almost unheard of and not recommended, so this type of domain would be by and large useless. Accurate spelling – It’s true that some big brands will buy up domain names that are similarly spelled to their primary domain name. A popular domain name that’s correctly spelled will have more resale value if it is ever made available. Domain name age and activity – Domains that have been live and accessible for a long time will come with built-in SEO attributes. This of course gives them significant value, with whoever buying the name not having to work as hard to get favourable search engine results from it. TLD – A top-level domain (TLD) is extremely important to the value of any domain name. This is the suffix to your domain name, and with .com domains being the most common and popular it is these ones that are the most valuable. Acquiring one will cost more than the .org or .net. version of the same domain name. Niche TLDs like .pizza will typically have little to no resale value.. There are a handful of domain name appraisal services online, and most won’t cost you anything to use them. Do keep in mind that the values these services place on domains are only approximations, so don’t take any valuation provided by them to be a 100% reliable estimation of what a domain name is worth. Free Valuator is the best among them in our opinion. You can get a value estimation for a domain name in a matter of seconds and they can also introduce you to a professional domain name value assessor if you are considering making your domain name available. Estibot is another one, and it gets a mention here because it uses a different approach to determining how much a website name is worth. It actually uses mathematical models to calculate the value of a domain name. After you’ve checked the value of your domain name, you have 2 options; if it’s valuable you can go ahead and make it available for sale. Putting it on a domain auction site, like the one at GoDaddy, is a popular choice. Alternately, you might want to contact a professional domain name broker. They’ll have the knowledge and connections to get you the biggest $ return for your domain name. This is the best course of action if you think a big brand might want your domain name. Next, if you think the value is bound to be greater in the future then you could sit tight and wait to see if that happens. If this is what you choose to do then taking steps to improve the value of your domain name, like adding content to your site and other approaches to boost its SEO value, is a smart move. Have a domain name that’s estimated to be much more valuable than you thought? We’d like to hear about it here. 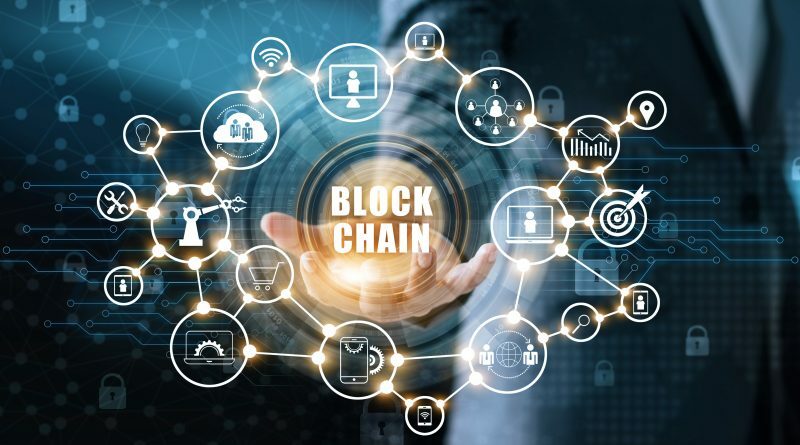 Blockchain isn’t exactly a household name in the digital commerce world – yet – but for those of us on the inside track it’s already well established as the next big thing in as far as grand-scale transactional computing is concerned. For those who aren’t familiar with it, we’ll explain briefly here; blockchain is a shared distributed ledger technology where each transaction is digitally signed to ensure its authenticity and integrity. 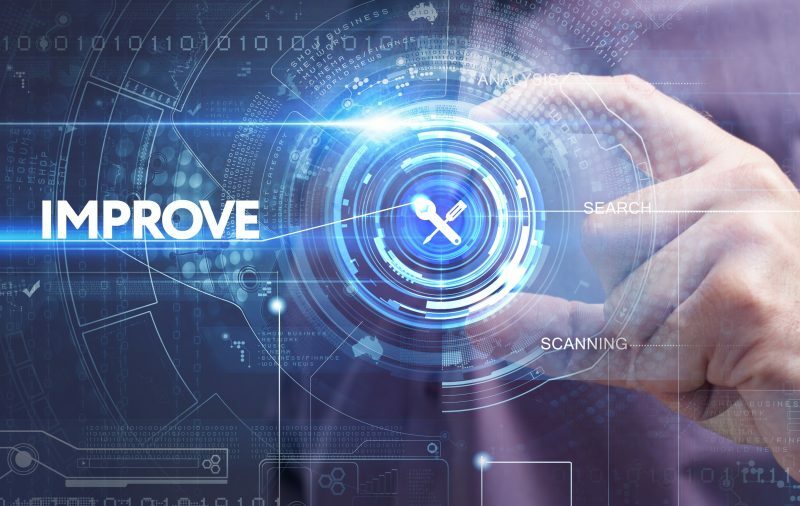 From a ‘what does that mean for me’ perspective, it’s a new and very powerful means of upping security for digital transactions as well as ensuring pinpoint accuracy. Right, now that we’ve got the basic explanation out of the way we’re going to come at this from an angle that’s designed for those of you already very much in the know regarding blockchain. Here at 4GoodHosting, we’re like any leading Canadian web hosting provider in that a good many of our customers have ecommerce websites where secure transactions are an absolute priority. As such, blockchain can’t arrive in full soon enough and that’s why recent news from Microsoft is very promising. Microsoft is about to offer a new serverless blockchain development kit powered by its intelligent cloud platform – Azure. As of now it’s being called the ‘Azure Blockchain Development Kit’ and the aim with it is to facilitate seamless integration of blockchain with the best of Microsoft and other third-party SaaS offerings. The Principal Program Manager at Microsoft states that it will enable users to build key management, off-chain identity and data monitoring and messaging APIs into reference architectures that can be used to quickly build blockchain applications. In addition, it will be compatible with other ledger technologies like Ethereum and Bitcoin too. Concurrently with this new Azure Blockchain Development Kit, Microsoft is also announcing their release of a set of Flow Connectors and Logic Apps for blockchain. This Ethereum Blockchain connector will allow users to call contract actions, deploy contracts, trigger other Logic Apps, and read contract state. This is important, because end to end blockchain solutions require integration with data, software, and media that live ‘off chain’ as this state is referred to. This new product from Microsoft is a next step in their quest to simplify and quicken blockchain accessibility and affordability for anyone who has an idea of what they might be able to do with it. Based on the serverless architecture, the expectation is that it will further reduce costs and thus making it accessible for every blockchain enthusiast, ISV and enterprise. The Kit is being built atop Microsoft’s investments in blockchain technology and connects to Azure’s compute, storage, data and integration services, which are already proven reliable in the workspace. Over recent years, Microsoft has been working on extending the use of Blockchain and related distributed ledger technologies. The idea is that new digital identities will eventually come together to promote greater personal security, privacy and control. It should be mentioned that other major players (Google most notably) also recently launched similar blockchain development kits. What will remain to be seen is what developers will think of it and how practical it is for them. Microsoft has a white paper on how to deploy any decentralized application using the Azure Blockchain Development Kit. You can download it here, and overall the development of Blockchain is definitely something worth keeping tabs on as it continues to change the landscape of the ecommerce world. In all the recent hubbub about https, GPDR regulation and the like there’s been some degree of neglect for the importance of website loading speeds. Most people behind a website won’t need to be made aware of what bounce rates are, or that in general people tend to be just as impatient when it comes to viewing a website as they are for nearly everything else in their life. Page speed has been a part of the Google algorithm for many years, in fact it’s been a big deal for the better part of 10 years now. Here at 4GoodHosting, the nature of our business and the fact we’re a Canadian web hosting provider with our thumb on the pulse of the web hosting industry makes it so that we really grasp the importance of issues like these when it comes to website performance. We’re 10 months removed from Google starting to educate us all about how page speed is important for the user experience. The focus has of course shifted to mobile search in a big way, and again that’s quite natural given the way mobile is become the predominant search method. At the start of 2018 Google announced its ‘speed update’, saying that it would only affect a small percentage of sites that were offering a painfully slow user experience. Most people have gotten on board with it sufficiently over the last year, but for those who have yet to let’s spend today discussing how to test and improve website page speed. There’s choices when it comes to online services you can use to gain an understanding of how quick your site is. Google’s two are really all you need to consider here. First up is PageSpeed Insights, which provides you with a reasonably accurate overview of how your site is performing and some things you can do to improve it. What we’ve learned from it is that render blocking (a slow part of the page that stops the whole page from loading) is the culprit most of the time. This issue isn’t easy to remedy, but you have to do it. If mobile is your primary focus, then this tool here is perfect for you. It compares your site to other mobile sites and delivers a percentage score. Keep in mind that for both of these the numbers are estimates, and while they’ll likely be fairly close to accurate you shouldn’t take them as definitive findings. This leads to the next part of our discussion here – tips you can implement to improve your page loading speeds. There’s much you can do to speed up your site. Sometimes you’ll be addressing platform specific problems, while in other instances they will be more general issues. Some of these changes you can implement yourself, but for others you may need to bring in someone more web savvy than yourself. Inexpensive shared hosting means your site is on a server filled with other domains like yours. This of course leads to a slower site due to a lack of available resources on the server. The simple fix for this is to move to better hosting. A dedicated servers (vps hosting in Canada) is an option, but for many smaller sites and interests its going to be an expensive and really unnecessary solution. However, it should be something to consider if shared hosting is being your website’s slow page loading times. Plain and simple, compressing your images and reduce their size is the easiest and arguably the most effective way to improve page load speed times. Optimizing the image can be done in an offline editor, and one of the best ones is a site called kraken.io which in our opinion is better than the Adobe compression tool for smaller images sizes. Caching your site can speed it up enormously. When you cache a site, it takes a snapshot of the page and keeps it handy. It then is able to deliver it to the visitor much quicker than it would normally. This can be done in numerous different ways. WordPress users can do so in the W3 Total Cache. The large amount of options there are something you should familiarize yourself with. Content delivery networks assume an extremely valuable role in the internet’s infrastructure. A CDN delivers a webpage or any file to a user by accessing it from the closest geographic location available. The benefits of doing this are that it is far more efficient, conserves bandwidth, protects the network, and also improving the user experience by providing the asset quicker. CDN’s are fairly commonplace now, with estimates suggesting that 40% of all sites are using one. The best ones will be able to offer speed gains and protection from DDOs attacks. An onslaught of http requests – requests for information from your server – can overwhelm a website. When someone visits your site they are requesting various files to load in the browser. Most of these requests are sequential and the increase in the number of external files means more requests, and that means a slower load time for that user. Hotlinking is when other sites leech your image content. Visitors to another site receive an image loaded from your server. This can mean your monthly bandwidth is stolen, but the fix is quick, easy, and effective – edit your .htaccess file. AMP pages have been well received by larger news sites that see their specific need to be able to serve pages more quickly. Having an engaged user base is very desirable, but how they are set up for commenting on the site can be an issue here. It can be a real problem for on-page SEO, and can lead to the page loading much slower. A popular fix for this is to ‘lazy load’ the comments, making it so that the page doesn’t serve up this user-generated content to Google’s web crawlers. Instead, it only shows it to real visitors. Another fix for commenting problems is to use an external commenting service. Supporting your platform with Disqus is a good choice here. The reality these days is that malware is constantly reinventing itself, and as such the threat to data storage never minimizes to the extent that we’d like it to. Indeed, data breaches have been a major issue for company IT departments for as long as they have been storing data. Nowadays, it seems there’s a new wrinkle in malware development and distribution that reminds us the threat is as present as ever and an inescapable reality. However, there is a new technology that is genuinely slowing the malware threat in countless industries, and data security stands to benefit from it considerably. Like any Canadian web hosting provider, we’re very attuned to the need for better security for big data, and especially so considering the ever-increasing level of sensitive and personal information being stored in large data centers. We tip our hats to those who have the expertise needed to counter the growth and advances of malware. The technology we’re talking about is machine learning, and more specifically artificial intelligence (AI) within it. Many insiders claim it will revolutionize the way we go about protecting data. As it is now, companies are frequently dealing with more and more attacks as their networks and the data volume they handle grows. One specific area within data security for AI shows especially strong promise. Traditional antivirus (AV) software used the specific signature of malware to identify it, but that method is not ideal for a number of reasons. By making small changes to their malware to alter the signature slightly, these hackers in many cases made it so that the malware could slip past AV software undetected. Current AI antivirus technology promises a far more sophisticated solution, despite not being AI in the traditional sense. By using machine learning (ML), this technology works by training a program with a large collection of malware data. Eventually it becomes able to recognize the characteristics of potential malware threats in general, and isn’t limited to only looking for signatures as the identifier of particular malware. This means that provided the programs are kept up to date with new malware to so that they are constantly relearning and being challenged, even malware with completely new signatures can be rendered ineffective and there’s no need to update their software as strictly. This is a perfect fit, as there is already a large body of data to train the programs on, and the bulk of new malware is not really ‘new’ – it builds off the foundations of other malicious programs. If your machine learning program has encountered a number other malware programs with most of the same core functionality, it becomes a situation where the hacker will need to invest a massive amount of time into creating malware that can disguise itself sufficiently. Many of the cybersecurity AI firms will claim this is an all-powerful solution, but that might be a bit too grand of a claim. It does provide enough of a deterrent to protect against most typical threats, and primarily because hackers aren’t inclined to create a full malware program completely from scratch. One important point to understand, however, is that without a large enough set of data these programs won’t be able to train themselves as effectively. Currently there is not quite enough data from network attacks to train machine learning programs as reliably as IT security professionals would like. There have been several hopeful attempts to find a suitable dataset, but so far that’s not been accomplished. As you might expect, all of these technological advances can be rendered ineffective if human error comes into play. If an authorized person is the one facilitating the breach, even the best security tools won’t be of assistance, and this of course does happen fairly often. The majority of data breaches are not the result of malware forcing its way through firewalls undetected. Most breaches are the result of a simple mistake, and often it’s negligence or an untimely oversight. And commonly victims will say it’s an unfortunate reflection of the fact that they’re understaffed, underfunded, and undertrained. Social engineering education is the solution here. Why? Because with it employees aren’t trained only to defend against common social engineering hacking tactics. When employees are trained, machine learning can be a strong and effective complement to best practices. One particular tool that carries a big stick in this regard is Onfido (https://onfido.com/gb). It prevents identity fraud by verifying the login with a photo ID, a selfie, and machine learning algorithms. It identifies whether the right person is trying to log in, and then crawls the Web for any potential problems with that identity. Fraudulent data access is prevented with this technology, and even if passwords are compromised. Another machine learning variation is capable of identifying the baseline online behavior for a particular identity, and then any deviation from standard patterns are flagged as indicating a possible malware threat. It’s not unlike your credit card company calling when someone makes a charge on your card on a different continent, but in the digital landscape instead. 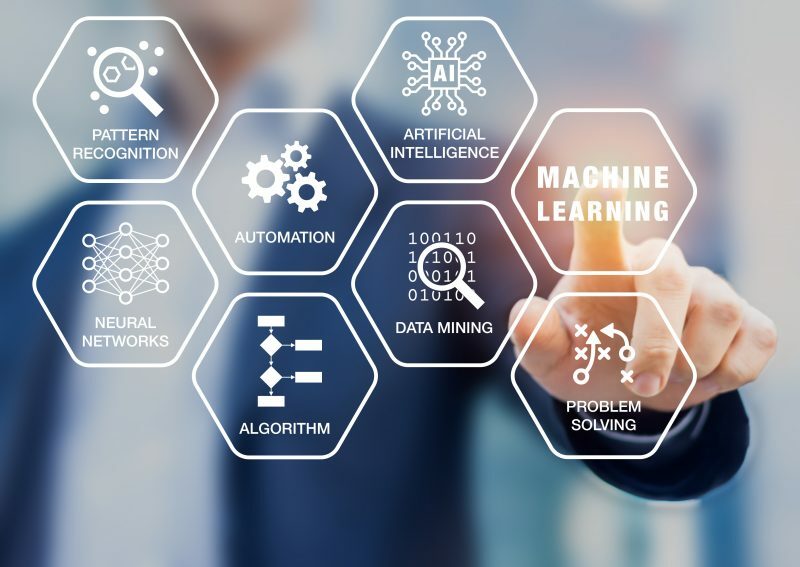 It’s very promising for people like us to see how machine learning, and perhaps eventually true AI, can deliver the type of complement that effective data security practices need in response to the new realities of IT security risks. It’s only just beginning to open its lungs and breathe in full, but hopefully once it starts to roar we’ll be able to rest a little bit easier when it comes to knowing data is secure in our data centers.